Join in a May Campaign for the Family Rosary! May is Mary’s month, a time to consecrate our hearts and our homes to the most august Virgin. 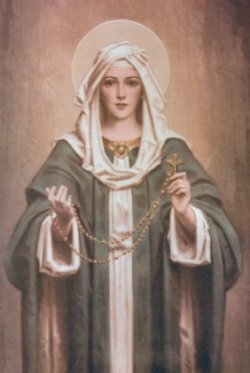 And, of all the ways a family may be devoted to our Blessed Lord and his Holy Mother (at least in the West), the Most Holy Rosary enjoys a certain pride of place. How precious the Rosary is to Christian families! And yet, how often it is neglected! 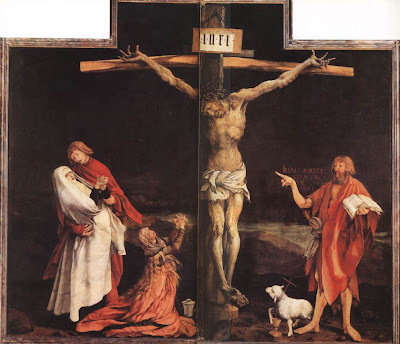 Preaching on this verse, St. Augustine once said, “The shepherd is to be loved, the hireling is to be tolerated, of the robber must we beware.” He refers these three characters to three classes of priests. On Good Shepherd Sunday, we do well to consider the qualities of these characters and, even more, how the faithful ought to relate to their priests and bishops. Why is it that the people should tolerate the hireling? We will rely on St. Augustine’s eighty-seventh sermon on the New Testament [here], from which the title quotation comes. I mistakenly indicated in an earlier article [here], that the Latin Church permits the distribution of Communion as Viaticum to dying infants. This is not the case. 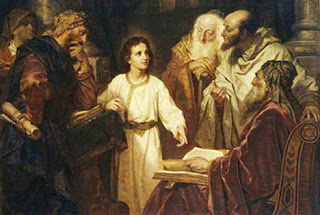 Rather, the Latin Church encourages priests (and parents) to carefully consider whether perhaps even a young child (below the age of seven) may have a sufficient use of reason to be able to recognize what the Eucharist is and to receive Communion with devotion. If it happens that a young child is able to do so, then he ought to be given Viaticum (when the circumstances of the illness permit). In every case, the Latin Church maintains the best tradition regarding Communion: The fruitful reception of the Sacrament requires the devotion of the faithful, either present devotion or at least past devotion (in the case of those who are at the point of death and who at that moment lack the use of reason, but who previously had devotion for the sacrament and who are able to receive without danger of vomiting). Should Confirmation and First Eucharist be given to infants? 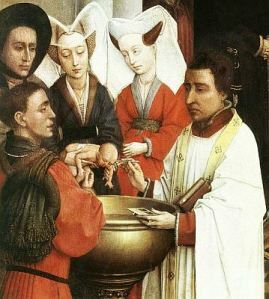 The common practice in the East of giving both Confirmation and Eucharist to infants immediately upon their baptism occasionally causes Catholics of the Latin Rite to question whether such a practice ought to be adopted also in the West. Especially now that, at least in the USA, a number of dioceses have lowered the age for Confirmation to seven, some individuals would like to see the age for both Confirmation and First Eucharist lowered to infancy. While admitting that Confirmation and Communion can be given to infants, I will defend the Latin tradition of delaying these sacraments until the age of reason. Did Jesus really eat after the Resurrection? While they were still incredulous for joy and were amazed, he asked them, “Have you anything here to eat?” They gave him a piece of baked fish; he took it and ate it in front of them. 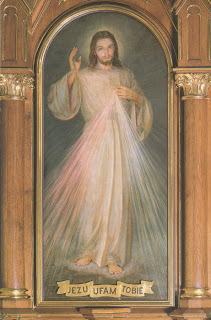 Christ our Savior manifested the corporality of his glorified body through two principal proofs: First, he allowed his disciples to touch him; second, he ate in their presence. 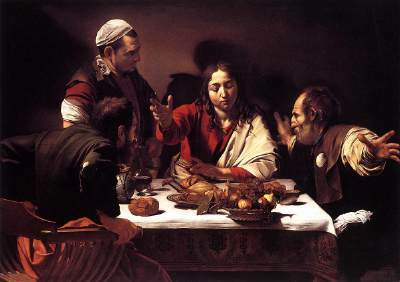 While spirits, whether angels or separated souls, are indeed capable of appearing in a bodily form, the sight of our Lord eating was taken by the apostles as a certain manifestation of the truth of the resurrection of the flesh. Yet, we might ask, was it fitting for Christ to eat food after having risen from the dead? Where was Jesus during the forty days after Easter? We know that Christ truly rose from the dead and appeared to his disciples in bodily form at various times during the forty days from Easter Sunday to Ascension Thursday. Christ our God was truly upon the Earth and in the world, even in his glorified flesh, for all of those days until he ascended into heaven. The gospels speak of ten apparitions of the risen Jesus, and we gather at least two more from St. Paul. But, we wonder, where was Jesus during the rest of those forty days? Where was the Lord when he was not visibly present to his disciples? Which is greater in God: Mercy or Justice? We know that in God there is both mercy and justice; rather, that God is both mercy and justice. However, we also pray that, upon our death, we might meet in Christ not the just Judge, but the merciful Savior. Knowing that mercy and justice can never truly contradict one another, we might still ask which is greater in God, and which comes first and which is greater. Is justice the foundation from which mercy builds? Or, is mercy the fundamental disposition of God toward his creatures? What's wrong with blessing children in the Communion line? But I ask, What is wrong with a priest giving blessings to young children in the Communion line? Fr. Sticha is a good friend of mine, as we are both priests of the Diocese of Great Falls – Billings in Montana, USA. He is a few years ahead of me in the priesthood, and I am currently serving in what was his first assignment. Fr. Sticha was recently appointed by our Bishop as the diocesan liturgist. That being said, friends are able to have differing opinions. And in this case, I think that both Fr. Sticha’s and Fr. Zuhlsdorf’s articles are not at all helpful. The Shroud of Turin is traditionally believed to be the pure linen burial cloth which was wrapped around the Corpse of our Savior and which was found in the empty tomb on the first Easter Sunday. The image of our Lord miraculously imprinted upon the Shroud is a visible indication and (to some degree) “proof” of the Resurrection. 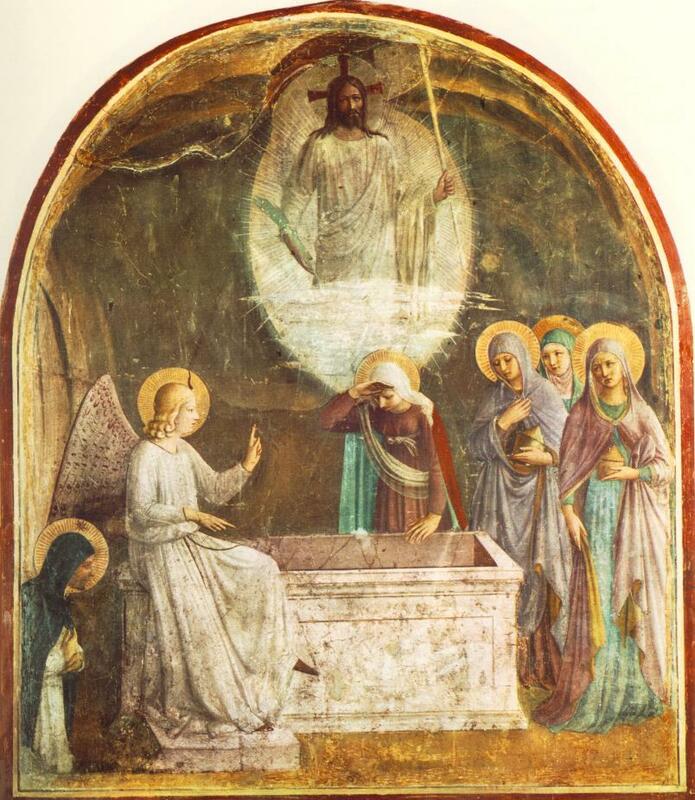 Thus, it is fitting that, during the Easter season, the Christian faithful consider the Shroud, meditating upon the joy and amazement of the first disciples who found the tomb empty. Many of the faithful may not realize that the Church provides a tangible reminder of the Shroud at every Mass through the use of the corporal. When did Mary begin to understand that Jesus would die and rise? The events of last twenty-four hours of our Savior’s life can be a bit confusing to fit into a chronology. No single gospel relates all that happened, and (what is more difficult) some of the gospels seem to contain points of contradiction. 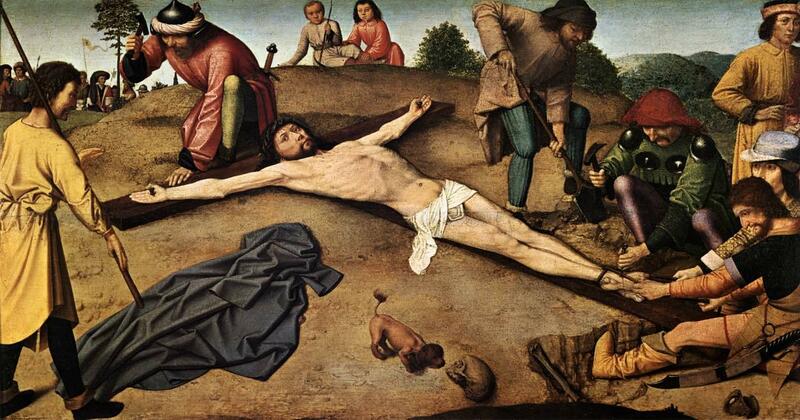 Here, I will set forth a simple chronology of the events from the Last Supper through Christ’s burial. But first, we will show the Catholic tradition regarding the question of whether Holy Thursday or Good Friday was the feast of Passover. It is not uncommon today for parents to feel awkward about bringing young children to Mass. If, when they are in the church, the toddlers or infants begin to fuss and cry, the parents often struggle to quiet their little ones before other parishioners become annoyed. Many parishes now have cry-rooms to segregate these noisy kids from the rest of the Christian community. For me, as a priest, the sound of crying children calls to mind the mystery of the sacrifice of the Mass.